Highlights Biotinylated BSA is used as a control in biotin estimation procedures and as a competitive inhibitor for anti-biotin antibodies. 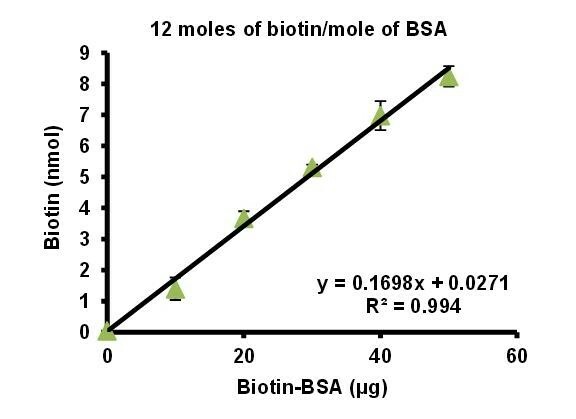 It has 12 moles of biotin/mole of BSA. It is provided as a 2 mg/ml solution in 50 mM Na2HPO4, 100 mM NaCl pH 7.5.